Standing proud in its new home, the Royal Hospital Chelsea, amid mature trees and fine architecture, Masterpiece London is, after just one year, firmly ensconsed in the art world as a worthy successor to Grosvenor. At the preview, Ruinart Champagne circulated and good conversation threatened to distract from the array of treasures, but happily the fair has plenty of things to catch even the most preoccupied eye. 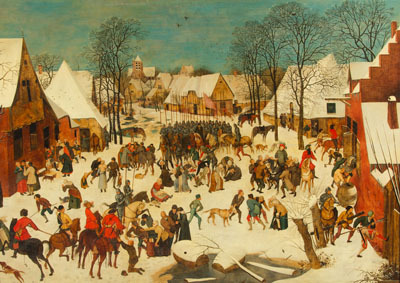 Just inside, at Dickinson, is Pieter Brueghel the Younger’s superb Massacre of the Innocents in a Winter Landscape, full of painful detail. Nearby is Ronald Phillips, with an elaborate George III carved giltwood chimneypiece, attributed to Matthias Lock and dating from about 1755. On the same stand is a piece of more understated elegance, a William and Mary carved gilt gesso side table of about 1690, an interesting and beautifully made object. 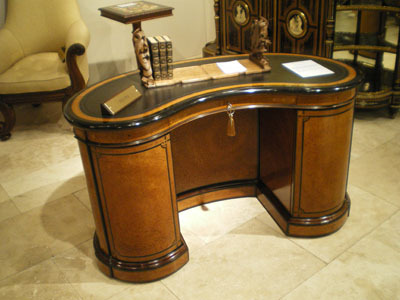 Carlton Hobbs is renowned for its stands, which tke the form of the kind of room which suits my own taste perfectly, last year’s being an opulent library. This time, a George III breakfront mahogany bookcase with delicate carved foliage by royal cabinetmakers Vile and Cobb draws visitors in, and a red-and-white lacquered cabinet of about 1690 on a silver-gilt stand keeps them there to admire its rich colours and astonishing detail. 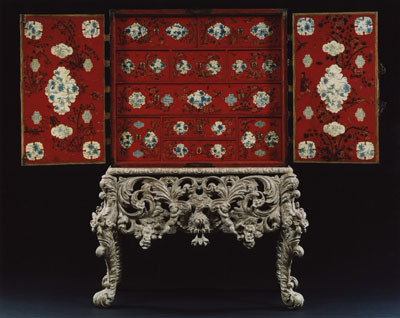 At Godson & Coles, a scarlet japanned bureau cabinet, of about 1720, by John Belchier is worth a look, too, for its unusual gilded cresting. Also George III, but less expected, is an appliqué textile hanging showing the king’s marriage procession at Mallett. Made of scraps of silk and ribbon, it has a touch of the Greek frieze about it, and is a must-see for anyone interested in costume. A few things I simply like are a painting of an audience with a cardinal in the corner of Didier Aaron, the headpiece from a set of equestrian armour at Peter Finer, a curved kneehole library table by Gillows at Butchoff and Miss Auras, The Red Book by John Lavery at Philip Mould. Finch & Co lives up to its quirky reputation with a human femur pierced with a crossbow bolt, found in a German moat in the 13th century, and a pair of Eskimo snow-blindness goggles. At Agnew’s, Sir William Nicholson’s sun-dappled waves in La Rochelle, The Harbour, is captivating, and an elegant Woman with a Music Score by Fernand Toussaint looks out serenely from her position at Wijermars. For connoisseurs of the sparkly things, a poison-beetle necklace at Wartski and a Secret Garden Ring at Theo Fennell are among the most elegant treats. 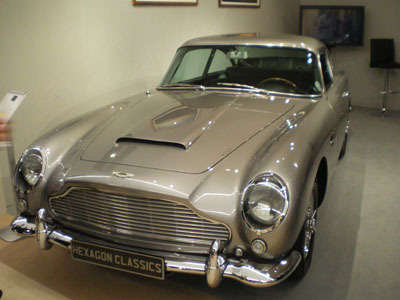 Elsewhere, an Aston Martin DB5 at Hexagon Classics is the elegant foil to an ostentatious Rolls-Royce parked, appropriately, near Harry’s Bar. I love examining old maps, and there are plenty here. Bernard J. Shapero has a fine selection, and a 1746 Plan of the Cities of London and Westminster by John Rocque at The Map House kept me still for some minutes working out where the site of the Country Life office was. At Daniel Crouch is an intriguing series of maps showing the world at different times-those of Charlemagne, Romans and Charles II, among others-with the unknown parts covered in impenetrable clouds. 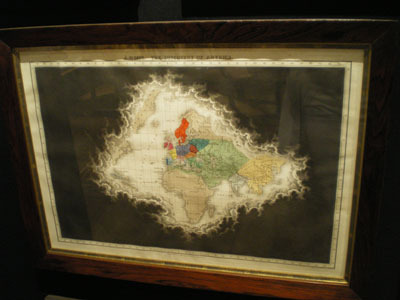 Entitled The World Unveiled, they are by Edward Quin and date from 1830. 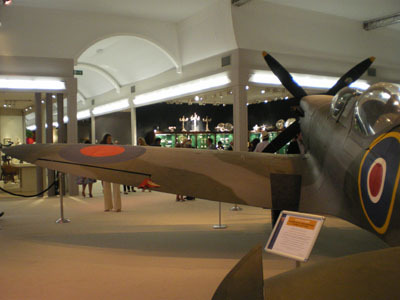 The striking centrepiece of Masterpiece is a rather special Spitfire, the only surviving prototype. The MT818 was built in 1944, and has all its original parts, including its Vickers workhorse Merlin 66 engine and has never been altered, only maintained. 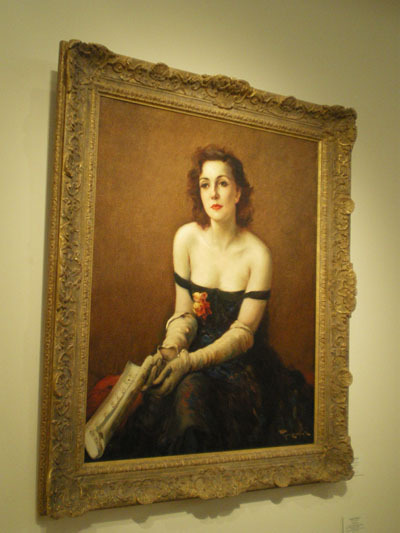 Its £8 million price tag seems rather reasonable. Flying high in a Spitfire would certainly cap a wonderful week at a fair that seems set to go from strength to strength.